The Obama administration’s long-awaited refreshment of its govermentwide management agenda emerged in the fiscal 2015 budget released on Tuesday, with the legally required presentation of agency priority goals to come next week. As part of a bid to “create a 21st century government,” the new budget documents repeat previous calls for Congress to give the administration authority to reorganize agencies, create a new independent federal property disposal board, continue a crackdown on improper payments and reform Defense Department procurement.. Also included is a vow to enhance the government’s ability to recruit a top-talent workforce. Items on the management agenda, Cobert said, include reducing red tape to accelerate the construction permit approval process, opening more government data to the public, and streamlining and sharing core agency functions such as human resources, information technology and financial transactions. The Housing and Urban Development Department is in the process of moving all its financial management over to the Treasury Department, she noted -- the largest shared services initiative yet. The administration’s ongoing efforts to reduce improper payments of federal funds by agencies such as the Internal Revenue Service and the Centers for Medicare and Medicaid Services have succeeded in cutting such payments by 3.5 percent, Cobert said. In the area of people and culture, the administration seeks “to make sure federal employees have the right tools and are supported by a culture that values innovation and encourages recognition,” Cobert said. 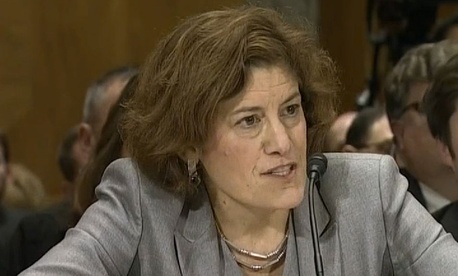 Acknowledging the frustrations of the pay freeze, sequestration and government shutdown during the past three years, she said the workforce “has continued to persevere and serve the American people with passion, professionalism and skill,” whether it be in protecting the homeland, providing veterans benefits, helping hurricane victims or searching for cures to deadly diseases. Cobert also sketched out coming new pilot programs that will allow agencies across government to learn from each other’s programs aimed at improving leadership, recruitment and hiring to narrow skills gaps. The budget documents released Tuesday ask Congress to revive an authority presidents used from 1932 to 1984 to submit proposals to reorganize the federal government using a fast-track voting procedure. That, OMB said, would allow the executive branch to streamline operations to better serve citizens. Another Obama proposal would create a Federal Real Property Council to improve the quality of data and performance metrics related to the government’s real estate inventory. (A Republican version of such a plan already has passed the House.) And the 2015 budget proposes continued investment in the Pentagon’s Better Buying Initiative to overhaul the military weapons acquisition system. Correction/Clarification: The original version of this story said that HUD had moved all of its financial management functions to the Treasury Department. HUD is still developing a plan to do this. Also, the article has been updated to clarify the circumstances surrounding the release of agency priority goals next week.